Reporters Without Borders is launching an appeal for financial support for Iranian journalists and bloggers, who find themselves utterly destitute as they search for a safe refuge. Reporters Without Borders is concerned about a new crackdown in China on social-networking tools, especially microblogging services. Bangladeshi and Tibetan bloggers win Reporters Without Borders category awards. The Committee to Protect Journalists called today for an immediate investigation into the March 18 death of an Iranian blogger imprisoned in Tehran's notorious Evin prisonâ##. Deutsche Welle, Germany#s international broadcaster, today announced the start of its sixth annual international Best of the Blogs award, The BOBs. Reporters Without Borders is relieved that the Saudi authorities have postponed blogger Raif Badawiâ's second session of 50 lashes on medical grounds but is very concerned about his health and urges the authorities to abandon this barbaric punishment altogether. Dean's Digital World: The blight or boon of the blogs? Reporters Without Borders is shocked to learn that Maikel Nabil Sanad, a blogger and conscientious objector, had been arrested by the military police for allegedly defaming the armed forces in his blog. Five members of Ethiopia's Zone9 blogging collective expect to learn their fate this Wednesday, August 19, 2015, when a panel of three judges will meet at Addis Ababa's Lideta High Court to rule on whether the defendants will walk free or or face another round of trial. Reporters Without Borders is appalled to learn that Niloy Neel, a secularist blogger and activist who had been threatened by Islamist militants, was hacked to death today in his Dhaka home by five intruders armed with machetes. Advice and technical tips for the best way to launch a blog and how to get round online censorship. It includes an explanation of how to blog anonymously and contains articles by bloggers, particularly in Egypt and Burma. New York-based ethno-musicologist Brian Shimkovitz blogs about African popular music, which is rarely heard outside its region of origin. He is credited with increasing the listenership of these obscure artists abroad with his blog, Awesome Tapes from Africa. The presence and power of bloggers is growing exponentially. They already have a larger online presence than traditional media. This guide will teach readers how to capitalize on the new media platform. The journalism of John Pilger. With a blog, a piece in the Globe or an appearance on a cable show that only two percent of the population watches, you can get a bounce or multiplier effect. Mainstream networks and cable news shows are reading blogs on the air to viewers, thus giving them legs. Two years ago, a Kenyan blogger went missing. As a critic accusing government officials and celebrities of corruption, foul play is very much suspected. Kenyans have turned to social media to revive the search for Bogonko Bosire. Reporters Without Borders calls on the international community to maintain pressure on the Saudi authorities, who alone have the power to overturn the inhumane sentence passed on Saudi blogger Raif Badawi. Reporters Without Borders is very disturbed to learn that the blogger Syed Abdullah Hussein Al-Attas is being held under the Official Secrets Act. More than 3,500 concerned people from around the world are petitioning Iran#s Supreme Leader, Ayatollah Sayed Ali Khamenei, to immediately release dozens of journalists writers, and bloggers currently imprisoned in the country. Whose hands are behind those dramatic YouTube pictures? YouTube and blogs have made it easier than ever to fabricate events. 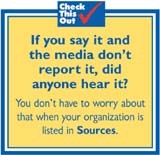 The media are happy to run unsubstantiated reports and footage. Reporters Without Borders is appalled by the arrests of a total of nine journalists and bloggers at the end of last week on a charge of inciting violence. Ukraine is spotlighted in this issue of Other Voices, with several articles on the events of the past year, from the overthrow of the government, to the rise of the far right, the armed conflict in the east, and aggressive US/NATO moves setting the stage for a possible nuclear war between the US and Russia. Also in this issue, #DomesticExtremists ridicule police state legislation in the UK, world inequality in one simple graphic, and people's history items about mass strikes in the First World War, and the new People's Archive of Rural India. Written from the business person/designer's perspectives, this book shows how businesses can leverage current, real-world blogging techniques, tools, and platforms to promote and enhance their ventures. Available on the Sources Intranet via the MarketingHelp file. The International Federation of Journalists (IFJ) strongly deplores the murder of Niladri Chattopadhyay on August 7 in Dhaka, Bangladesh. The IFJ demand immediate action from the Bangladeshi Government to end the continued and systematic attacks on freedom of expression in Bangladesh. On the third anniversary of Raif Badawi's arrest, Reporters Without Borders (RSF) reiterates its call to Saudi Arabia's King Salman bin Abdulaziz to demonstrate clemency and pardon this young blogger. Journalist/publisher, longtime political activist, formerly longtime resident of Halifax, Nova Scotia and now resident in Blantyre, just south-west of the small harbour town of Meaford on Georgian Bay in Ontario, Canada. Many individuals and organizations have jumped on the blog bandwagon. Most of them do not even know why. Deciding on a strategy helps clarify the reason for the blog itself and gives focus to the writing.